Practice the Past Progressive or Past Continuous and Past Simple Tenses, using this ESL Grammar Interactive Monkey Fun Game Activity for pre-intermediate (was working, was driving, was walking, etc). 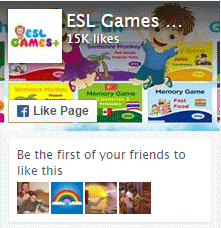 ESL Learners and Teachers can use it to review English vocabulary and grammar or simply practice grammar. This Sentence Monkey activity is great for this type of grammar practice.